Fluffy’s Diapers is a Small Batch Manufacturer registered with the U.S. Consumer Product Safety Commission (CPSC). All items sold meet or exceed US government safety standards for lead and Phthalates (ie BPA) and are exempt from flammability testing. 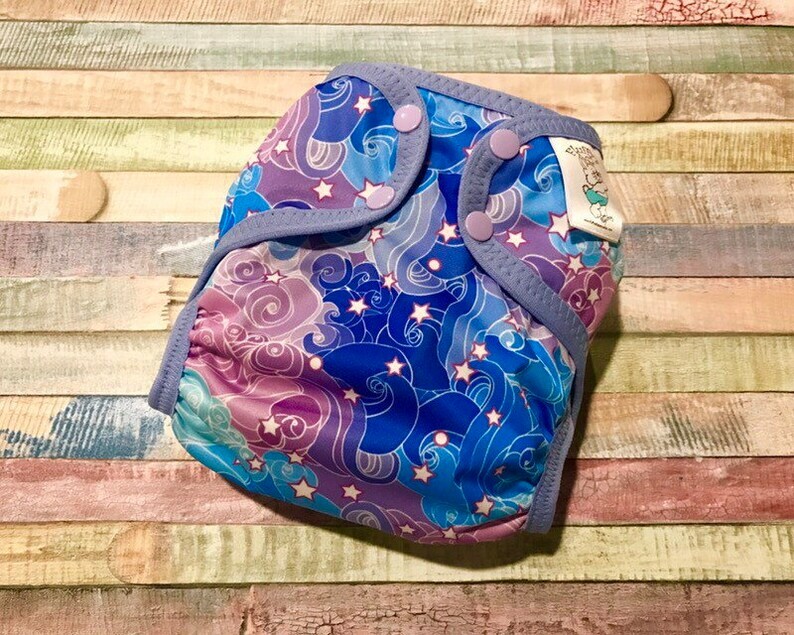 Your little one will look adorable in this fabulous Starry Twilight polyester PUL waterproof cloth diaper cover. It is designed to work well with both fitted diapers and prefolds. You may choose your size (extra small/newborn, small, medium, or large) and closure (Aplix hook & loop or snaps).